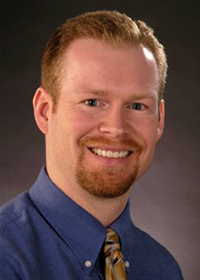 Dr. William Clarke received his Ph.D. in Analytical Chemistry from the University of Nebraska in Lincoln in 2000, followed by a post-doctoral fellowship in Clinical Chemistry at the Johns Hopkins School of Medicine, ending in 2002. In addition, he received an MBA focused on medical services management from the Carey School of Business at Johns Hopkins in 2007. 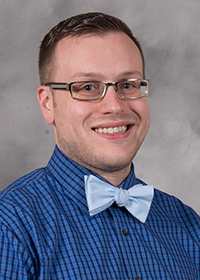 Following his post-doctoral fellowship, he remained at Johns Hopkins, where he is an Associate Professor in the Department of Pathology, as well as the director of both Point-of-Care Testing and Clinical Toxicology for the hospital. Dr. Clarke is board certified in Clinical Chemistry by the American Board of Clinical Chemistry, and is a Fellow of the National Academy of Clinical Biochemistry. His research interests include clinical mass spectrometry, method development and evaluation for therapeutic drug monitoring, clinical toxicology, point-of-care testing, and development/validation of biomarkers for use in drug management. Dr. Clarke has published as author or co-author over 80 peer-reviewed manuscripts or book chapters. Dr. Lori Sokoll is a Professor of Pathology in the Johns Hopkins University School of Medicine and has secondary appointments in Oncology and Urology. 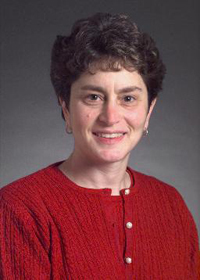 She is the Associate Director of the Clinical Chemistry Division and Director of the Special Chemistry Laboratory in The Johns Hopkins Hospital. Dr. Sokoll received her A.B. degree from Cornell University. She has a Master of Clinical Chemistry degree from Hahnemann University and received a Ph.D. in Human Nutrition Sciences from Tufts University. She completed a two-year ComACC-accredited Postdoctoral Fellowship in Clinical Chemistry at the Johns Hopkins Medical Institutions. Her research focuses on the evaluation and clinical applications of cancer biomarkers. She is a co-investigator for the NCI sponsored EDRN and CPTAC programs. Dr. Mark Marzinke is an Assistant Professor of Pathology and Medicine in the Johns Hopkins University School of Medicine. He is the Director of Preanalytics and the General Chemistry Laboratory in the Johns Hopkins Hospital and the Associate Director of the Clinical Pharmacology Analytical Laboratory in the Division of Clinical Pharmacology. Dr. Marzinke received his B.A. degree from the College of the Holy Cross with a major in Biology, minor in Chemistry and a focused concentration in Biochemistry. He received his Ph.D. in Biochemistry from the University of Wisconsin-Madison in 2010, followed by a post-doctoral fellowship in Clinical Chemistry at the Johns Hopkins University School of Medicine, which he completed in 2012. 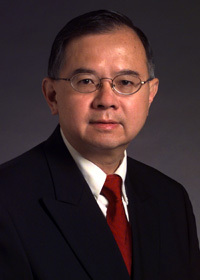 He subsequently joined the faculty in the Departments of Pathology and Medicine. Dr. Marzinke is board certified in Clinical Chemistry by the American Board of Clinical Chemistry. His primary research focuses are in pharmacogenetics and its application to genotype-phenotype relationships, as well as method development and validation of mass spectrometric assays for the quantification of anti-retrovirals and other anti-infectives in a variety of biological matrices. Other research interests include clinical laboratory automation, as well as workflow and process improvement initiatives. Dr. Marzinke is a principal investigator or co-investigator on several NIH-funded grants, and has published more than 20 peer-reviewed manuscripts or book chapters.